On-The-Job-Training can help businesses with the cost of hiring and training new employees. FIND QUALITY WORKERS & AVOID COSTLY HIRING MISTAKES Recent layoffs in the upstate have resulted in a labor pool of people who have proven work records, relevant job skills and experience working in a variety of fields. SAVE MONEY SCREENING & ASSESSING NEW RECRUITS We screen and assess all applicants ensuring they meet the qualifications set by employers. Screening includes WorkKeys assessments which measures “real world” skills that employers believe are critical to job success. We can even provide more in-depth services via skills upgrading when necessary. SAVE MONEY TRAINING NEW EMPLOYEES For small businesses, we reimburse 75% of their new hires’ wages for up to 10 weeks while they train on the job. REDUCE TURNOVER We offer candidates who are ready to work and are committed to their jobs. 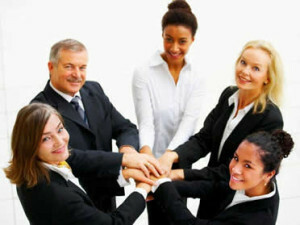 We offer counseling and assistance to our clients after placement if necessary to keep their jobs and to be successful. TOO BUSY FOR PAPERWORK We have contract writers to assist employers in every phase of the process. WHAT KINDS OF JOBS QUALIFY AS OJT JOBS? WHAT TRAINING COSTS WILL THE OJT PROGRAM PAY FOR? The OJT Program will pay either 50% (for companies with more than 100 employees) or 75% (for companies with fewer than 100 employees) of a worker s wages during a training period of up to 400 hours (10 weeks). The length of the training period varies according to the skill level required for the job. A contract for a machine operator that requires 400 hours of training and pays $10 per hour would result in a $3,000 reimbursement (of a total of $4,000 in paid wages) for a small employer or a reimbursement of $2,000 for a large employer. On-the-Job Training (OJT) is available to defray the cost of training new employees. WorkLink will reimburse a company for 50 to 75 percent of the training wages for six to 10 weeks of training new hires who are eligible for WIOA services.